If you’re feeling stuck, overwhelmed by personal challenges, need more joy and serenity, or simply wonder what happens in therapy, step inside Tuya Pearl’s office to experience the transformational process. With keys and a professional therapist to guide you, you’ll unlock your story with clarity that will astound, heal, and set you free. Participate in sessions that get to the source of anxiety, depression, compulsions, self-doubt, and other emotional issues―listening to others’ real-life stories and telling your own―with prompts to inspire and awaken you. 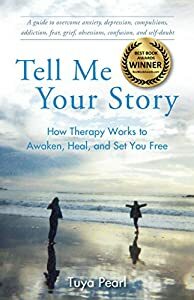 From the privacy of a confidential read, and with the perspective of both client and healer, Tell Me Your Story moves you through the stages of therapy―from the initial phone call to the final goodbye―connecting body, mind, and spirit with inner wisdom to reclaim and enjoy your most authentic life. This isn’t just another story about a search for a birth mother. 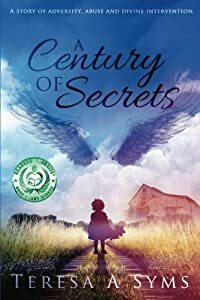 This is a story about secrets and lies and the lengths people will go to to protect a grand Southern family name from scandal. 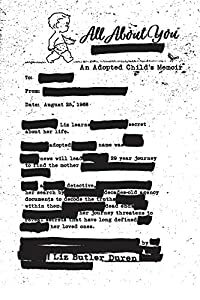 It’s a story about tireless perseverance in claiming a meaningful life when your very birth seemed to be a cause for shame. Where secrets are buried deeper than the family silver when the Yankees came a callin’. But mostly, it’s proof that Soap Opera plot lines and real life have WAY more in common than we are willing to admit ( except for that whole coming back from the dead part… ) I lived in a world of wild imagination fueled by long stretches of childhood boredom, so what else was I going to do but keep the endless storyline going until the truth finally came out and we cried mascara-stained tears. You can listen your way to better relationships. 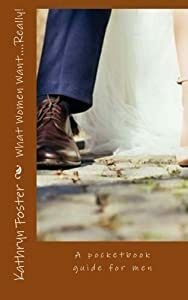 This often humorous book, loaded with practical tips, examples, and techniques, will bail you out of touchy situations. Dr. Jim Petersen's powerfully intuitive yet tongue-in-cheek Flat Brain Theory shows how and why we get upset and confused and what to do about it. We may think we're good listeners, but not many of us are. When others talk, we focus on what we think, rather than what they are trying to say. Few of us know how to use the power of listening to improve life for ourselves or those around us. Jim says that good communication uses the same skills in a professional office, on a date, in a corporate boardroom, or at a kitchen table. He discusses the need to abandon the win-lose mentality of the courtroom-like culture that so often puts us at odds with each other. Listen shows how to improve talking and listening skills using the Talker-Listener Card. This creative use of the;taking turns we learned as children can end arguing as we know it. He presents more than thirty time-tested listening techniques to help you deal with common communication land mines and listen your way to better relationships, from intimate to casual and work-related. Petersen's pièce de résistance, the inventive Talker-Listener Card is practical, easy to use and portable, a format that elevates idle banter and argument into the arena of authentic dialogue. When people use the card they help each other relax, think clearer and build empathy and cooperation. He includes chapters on using the Card to improve listening with couples, difficult groups and as a family dinner table game. It along with the book are great resources for counselors and counselees. 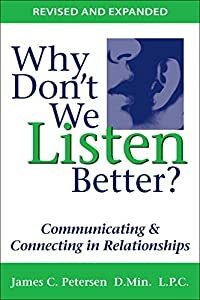 Why Don't We Listen Better? presents other original easy-to-use tools and techniques to help people develop skills at what he calls come-alive communication. It is organized in short sections, labeled in the Table of Contents so you can immediately find the technique or idea you want to review. His insights will give you creative ways to handle both daily interactions and the difficult situations of anger, grief and conflict. This veteran counselor's unique approach to listening has changed lives. He distilled forty plus years of pastoral experience, counseling and teaching into this informal volume loaded with practical tips, examples, and techniques to practice. The informal manner that endears him to novices and experts alike is reflected in this valuable book for anyone who communicates with others. 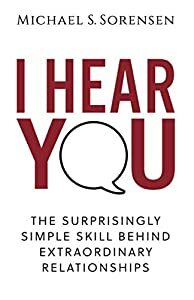 In this 3-hour, conversational read, you’ll discover the whats, whys, and hows of one of the most valuable (yet surprisingly little-known) communication skills—validation. In 1998, after having been married to Duncan―a bully who'd been controlling her for the fourteen years they'd been together―Karen E. Lee thought divorce was in the cards. But ten months after telling him that she wanted that divorce, Duncan was diagnosed with cancer―and eight months later, he was gone. 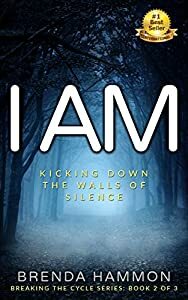 Karen hoped her problems would be solved after Duncan's death―but instead, she found that, without his ranting, raving, and screaming taking up space in her life, she had her own demons to face. Luckily, Duncan had inadvertently left her the keys to her own salvation and healing―a love of Jungian psychology and a book that was to be her guide through the following years. In The Full Catastrophe, Karen explores Jungian analysis, the dreams she had during this period, the intuitive messages she learned to trust in order to heal, and her own emotional journey―including romances, travel adventures, and friends. 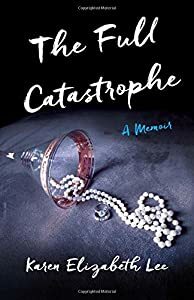 Insightful and brutally honest, The Full Catastrophe is the story of a well educated, professional woman who, after marrying the wrong kind of man―twice―finally resurrects her life. It was 1969, and all the rules were changing, when Betty, a woefully single French teacher on Long Island, met the handsome but edgy new teacher at her school, a hippie just back from Woodstock. His vitality opened up a new world to her―but when they married, his rages turned against her, and often ended with physical violence. 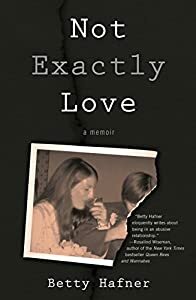 Like millions of women who discover they’ve married an abusive man, Betty was forced to make daily decisions―to suppress her feelings or risk confrontation, to keep it secret or report, and ultimately, to live with it or leave. With over two decades in the Life insurance industry, Brenda and her husband Bud have built a successful business with includes working with a Life Style Protection Company to provide enhanced coverage’s for clients and help to train other advisors in the industry. During Brenda’s time of struggling to survive her childhood and her first marriage, Brenda focused on her riding as a way to escape from her life and competed on the National Circuit in Dressage in Canada and won numerous awards and accolades in her discipline. After seeking help, Brenda was no longer running to escape, so she had to redefine her new passion for riding. With her new coach and friend Erika and her new horse Hughie, Brenda is learning once more how to dance to the beat of her own drum. The classic pocketbook guide for guys. A psychologist offers bottom line steps for starting and building a romance. Everything you need to know to be smart about women. To read alone or with a female partner.